Up to now I haven’t been come across a really good video editing app for Android. It’s hard to think of a good reason to edit video footage and add special effects directly from your phone. That kind of work seems really challenging on a smartphone. Videocam illusion Pro comes at the problem from another angle: it lets you ad effects to your video camera before you start shooting. Now let’s give it a try and see how it works. Videocam illusion Pro allows you to use a filter, effect, mask or adjust the recording speed while you are in the process of filming. You can switch between all options in real-time while shooting. There are a total of 18 filters, 13 effects, 6 masks and 5 video speeds available – more than enough to satisfy even the most avid filmmaker. You can choose between a 160x120 and a 800x480 resolution for your video recording. According to our test, the best option is to stick with the 480x288 resolution for better results. With the 800x480 resolution the frame rate is really low and therefore complete rubbish. Videos recorded using Videocam illusion Pro can be viewed and shared. Based on my experience I came across one major problem with the sharing process: your videos disappear from Videocam Illusion Pro after thet get uploaded to YouTube or Dropbox. To my surprise, the videos were no longer to be found in their respective folders on the SD card. After initially thinking the problem was a minor bug, I have come to the conclusion that the app automatically deletes your videos after they get uploaded. I think that’s a major problem for virtually any user. 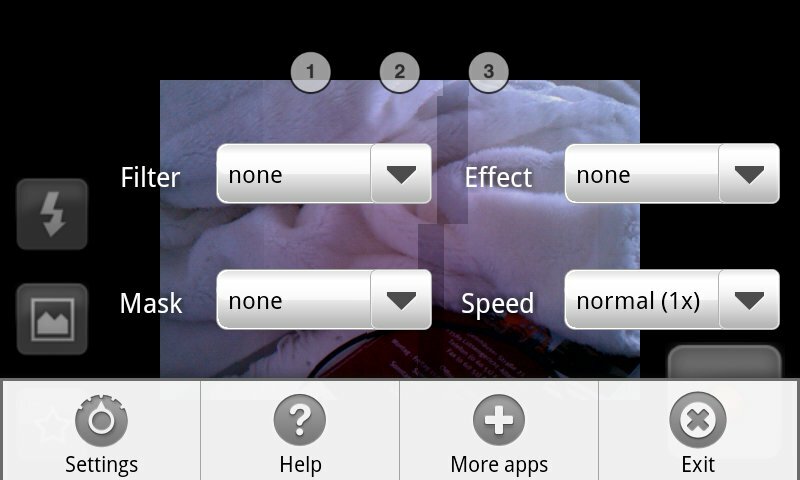 At first glance I wasn’t terribly impressed from what Videocam illusion Pro had to offer. After playing around with the app for a while I have changed mind. Once you’ve found your favorite effects and filters, this app allows you to make really creative and interesting videos with your handheld device. 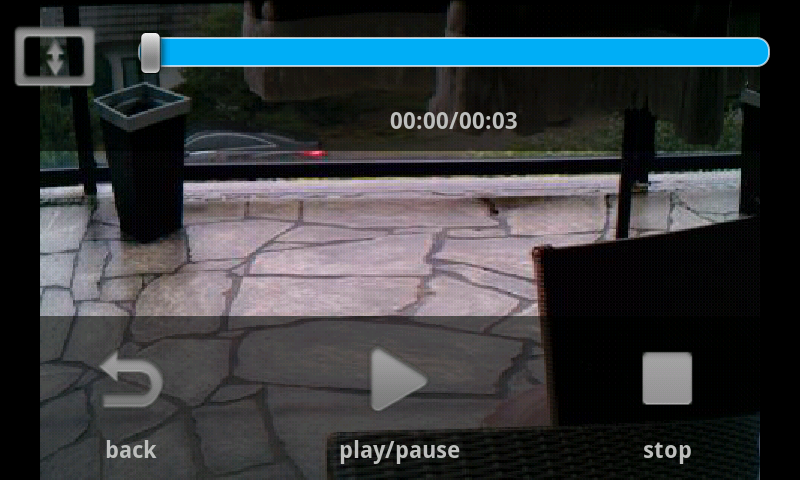 When you open Videocam Illusion Pro, you are staring through your phone’s camera lens. Start recording by pressing the red button on the screen. There are four additional buttons located along the left edge of the screen: turn light on/off, open recorded videos and select your effects options. 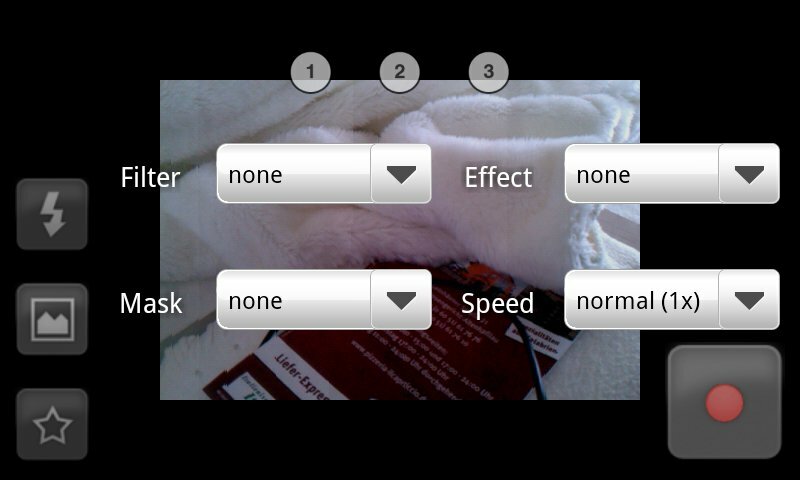 In the effects options, you can adjust the filter, mask, effect and speed individually during filming. Found an interesting combination of effects? Simply long-press one of the preset buttons to save your own customized effect. 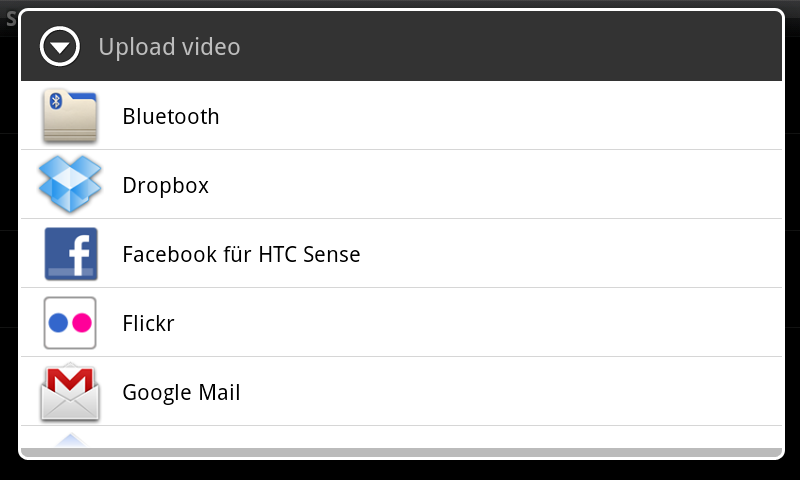 Your recorded videos are displayed in a list. It’s possible to view, share or delete your videos using the button at the bottom. 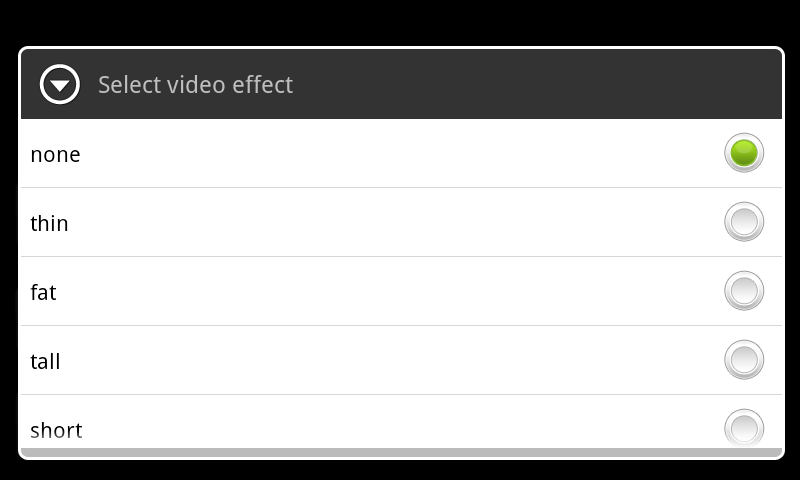 In the Videocam illusion Pro settings (accessed by long-pressing the menu buton), you can adjust the video resolution, turn audio on/off or use your volume control buttons as shortcuts for your presets. Although it took me a while to figure out how to save my presets (long-pressing the preset button), I found the controls to be, generally speaking, simple and self-explanatory. The app does exactly what it set out to do: real-time video footage with filters, effects and masks. Videocam illusion Pro performed smoothly and reliably in our test. Really enjoyed the pencil effect!!!! Just one thing, videos should not be deleted once uploaded. I check it on multiple phones and does not happen. Nobody has reported me about this issue. Could someone check (there is a free version of the application) if he has this problem?